It used to be that community activists, politicians and developers would fight over allowing the gentrification of city neighborhoods. If you eliminated affordable housing and replaced it with housing that was not as affordable, most people agreed it was at least the start of gentrification. These days, the battle is apparently a little more nuanced. On Nov. 5, for example, Mayor Bill Peduto tweeted: “So far Pittsburgh’s East Liberty neighborhood has avoided gentrification while reducing crime & improving investment,” with an accompanying study by local analytics firm Numeritics. The study claims gentrification is “obviously not the case in East Liberty” because all new market-rate development happened on vacant land, and because neighborhood demographics from 2010 to 2013 remained the same. However, Pittsburgh filmmaker Chris Ivey feels differently. “The [report authors] certainly knew the story they wanted to tell and chose to ‘back up’ that story with the facts that happen to support it,” wrote Ivey, who documented the demolition of an East Liberty housing project in 2006, in an email to City Paper. Another statistic foregone by the study was homeownership. According to statistics compiled by Pittsburgh Community Reinvestment Group (PCRG), from 2011 to 2014, East Liberty saw 55 homes purchased by whites, while only three homes were bought by blacks. 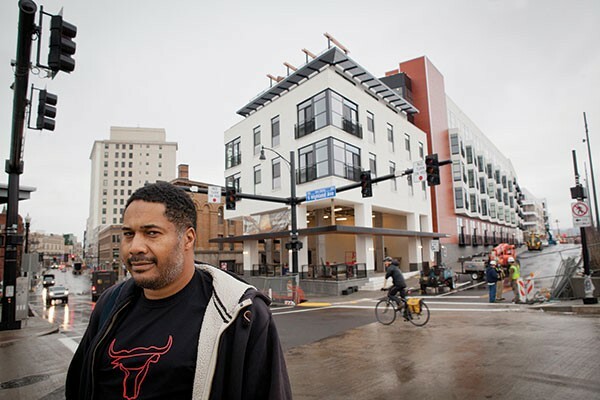 So while some may argue whether what’s gone on in East Liberty and other city communities is gentrification, one fact is uncontroverted: African Americans are leaving some of their long-time Pittsburgh neighborhoods in droves because they can no longer afford to live there, and that urban flight could get worse before it gets better. With thousands of residential units slated for development, the city is seemingly poised for growth for the first time more than 50 years. But will Pittsburgh’s black population grow with it? Historically, many African Americans came to Pittsburgh in the years between World War I and World War II. During this era of black migration, African Americans settled in the city neighborhoods of South Side, Garfield, East Liberty and Homewood, with the Hill District becoming the preeminent black neighborhood. The United Auto Workers union won its first organizing vote at a foreign-owned auto assembly plant in the U.S. South on Friday, in a groundbreaking victory after decades of failed attempts. About 71 percent of skilled trades workers who cast ballots at Volkswagen AG’s (VOWG_p.DE) factory in Chattanooga, Tennessee voted to join the UAW, according to the company and the union. The skilled trades workers account for about 11 percent of the 1,450 hourly employees at the plant. If the UAW victory, as expected, survives an appeal by Volkswagen to the National Labor Relations Board, the 164 skilled trades workers will be the first foreign-owned auto assembly plant workers to gain collective bargaining rights in the southern United States. While the unit of skilled trades workers who maintain the assembly machinery are a fraction of the hourly work force, observers said the victory was significant and could serve as a launching pad for the union’s efforts to organize other foreign-owned plants in the south. “It gives the UAW a significant new tool in trying to organize the foreign automakers in the south. Symbolically, it’s going to be huge,” said Dennis Cuneo, a former automotive executive who has dealt with the UAW in past organizing campaigns. Gary Casteel, UAW secretary-treasurer and head of the union’s organizing efforts, downplayed the significance of the vote and its influence on the UAW’s attempts to organize workers at southern plants including those owned by Nissan Motor Co (7201.T) and Daimler AG’s (DAIGn.DE) Mercedes-Benz. “To the overall grand plan of the UAW it’s probably not monumental, but to those workers, it’s a big deal,” Casteel said in an interview on Friday. The union narrowly lost a February 2014 ballot in which all of the Chattanooga plant’s hourly workers were eligible to vote. People don’t just visit Uncommon Grounds Cafe in Aliquippa for the food. But, let me tell you, the food is delicious. Panini’s made with fresh cut bread, homemade soups, made-to-order breakfasts, fresh desserts baked daily, plus a variety of drinks – hot and cold, coffee and tea, milkshakes and smoothies. And then there are the daily specials – pulled pork, chili, lasagna, ribs, mac n cheese…did I mention its all homemade? Food this good can’t be this cheap. But it is, because the food isn’t the point. The main point of the Cafe, the reason it opened its doors in 2001, was to serve people. 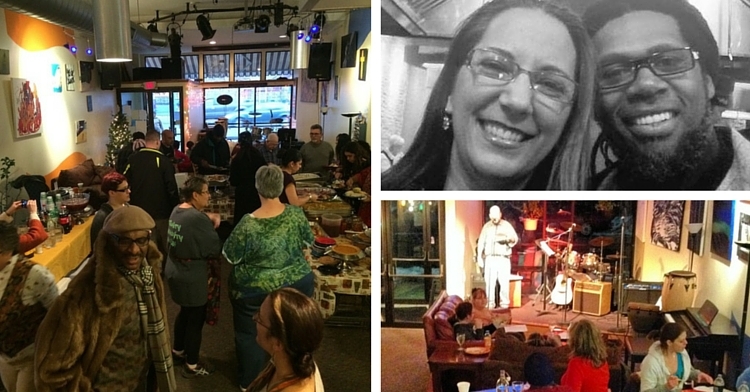 Uncommon Grounds Cafe is a cooperative venture of the local people of Aliquippa and local churches working together to provide a safe place for anyone and everyone. A place to be heard, to be known, to be appreciated and accepted. It’s so much more than a place to grab a quick meal or drink. It’s a ministry. It’s a place where the lonely, the outcast, the hurting can come together and find a friend who will listen. It’s a place where people of all ages and races can walk through the doors, create together, and change Aliquippa. Aliquippa, like so many other towns along the Monongahela and Ohio rivers, was an ideal location for industry. When Pittsburgh was emerging as a major steel making hub in the late 1800s, Jones and Laughlin Steel Corp. sought to expand downriver and purchased a huge lot of land along the banks of the Ohio River to build one of the largest integrated steel mills in the world. Thousands of immigrants flooded into Aliquippa to find jobs and the area experienced an era of prosperity – businesses lined Franklin Avenue, housing developments where built all over the area, generations of families were living in Aliquippa and life was good. But like all good things, the era of big steel came to an end. Like many towns in Pennsylvania and throughout the Rust Belt, Aliquippa went into a depression. J&L was gone. As were the stores on Franklin Avenue. With nowhere to work, many families packed up and left to begin life elsewhere. For many years some would say Aliquippa lost its hope and its creativity. Then John Stanley, a Church Army officer from Australia, moved to Aliquippa. He purchased an old store front and with the help of many volunteers from local churches, remodeled the old building into a cafe. After 14 years of service in Aliquippa, Stanley felt called to return home and left the Cafe in the hands of current Ministry Director, Herb Bailey. Bailey, along with Operations Director Scott Branderhorst and many volunteers, continue the work what Stanley started. “We are a place of respite for the weary neighbor, a place of encouragement for the local entrepreneur who dreams of being their own business owner, a place where people that want to give back whether it is court-mandated or soul-mandated and are allowed to engage others in a safe environment. We are a hub of opportunity and a bastion of hope, joining others who also are looking for hope. We hope to offer dignity in a way that says we recognize that no matter your story, you are precious in the site of God,” said Bailey. Dec 1, 2015 – Democratic presidential candidate Hillary Clinton has announced a plan for infrastructure investment. How does her plan stack up against that of her chief competitor, Bernie Sanders? ● $250 billion dollars in infrastructure investment, spread out over five years as additional spending of $50 billion each year. ● An additional one-time $25 billion to seed a national infrastructure bank. The bank will support up to an additional $225 billion in direct loans, loan guarantees, and other forms of credit enhancement. These are loans to states and cities which will require tolls, fees, etc. to pay off. Clinton’s $275 billion infrastructure plan offers modest spending and contains few specifics. Contrast that with candidate Bernie Sanders, who has proposed a highly detailed, $1 trillion plan.